FAMILY CAMP – July 26 – 28, 2019 – Save the Date! For alumni of the ministry, their family and friends. Fun, games, inspiration, friendships, worship, building treasured memories. Please watch for further updates about the location and schedule. 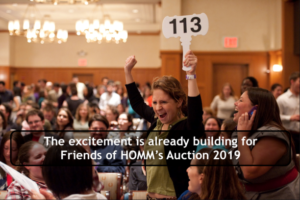 Come join us for dinner, a live and silent auction, and entertainment, to benefit HOMM. Click on the button below for more information and to register. Four day workshop where you can experience the heart of God as your Heavenly Father. Gain freedom to be yourself and experience an abundant life. Three day workshop for spouses who have attended HeartChange. As a couple you will move into greater unity, intimacy and joy as you apply the principles our Creator designed for marriage. Three day workshop for alumni of HeartChange who want to experience the heart of Jesus as your Heavenly Bridegroom while discovering His unique design for you and deepening your intimacy with Him. Three day workshop alumni of HeartChange and want to experiencing the heart of the Holy Spirit, allowing Him to transform you personally and practice ministering to one another. Three day workshop where youth can experience the heart of God as their Heavenly Father. This workshop is for ages 10-13. One day workshop designed for alumni to practice wielding their HeartChange tools in day to day life. As a teen, my family sent me away. I felt like I died that day and was shipped off in a coffin. I believe because of that I suffered for 12 years with a feeling of suffocation and debilitating muscle and joint pain for which I took heavy medications. After the workshop, I discovered not only was my heart healed, but my body as well for I no longer needed the pain medications and I could breathe freely for the first time in years! In my youth I experienced feelings of abandonment from my parents. After the workshop, I was able to tell my parents that I forgave them. Later it hit me. I was able to do this because the knowledge I had in my head of knowing God as my Father had gone down to my heart and I not only knew it, but was now living it. I entered the weekend a little skeptical, but willing to accept what was said, as long it followed Scripture. At the workshop, I discovered I had had the message written on my heart that I was worthless. I also realized that I had spent my life trying to live up to how everyone else thought I should be. God cleaned house! I then knew my value before God. It wasn’t an emotional high; it was real, true and rock solid. I am so thankful that God cared about me, down to every last dark wounded whisper in my heart. I’m FREE! This is no ordinary workshop. It is nothing less than a powerful avenue which God used to transform my life. My marriage, family and ministry were all raised from the dead, reclaimed and reinstated for the glory of Christ. We rely on God to provide the ongoing needs of the ministry through donations from those who respond to God’s call in this way. HOMM is a Christian, non-profit (c) 3 organization providing tax deductible receipts. Workshops are offered free of charge, however you will be invited to make a donation to our ministry on the last day of the workshop. It costs us about $250 per person per workshop to cover our ministry expenses. We do have friends who give regularly to help sponsor those who cannot give a donation. We are also blessed that many who cannot give financially are able to contribute to our ministry in other ways.